Teacher Pro Sharpener features smart stop that shuts off and a light illuminates when pencil is sharp and eliminating over sharpening. Safe start machine will not start till receptacle is in place. 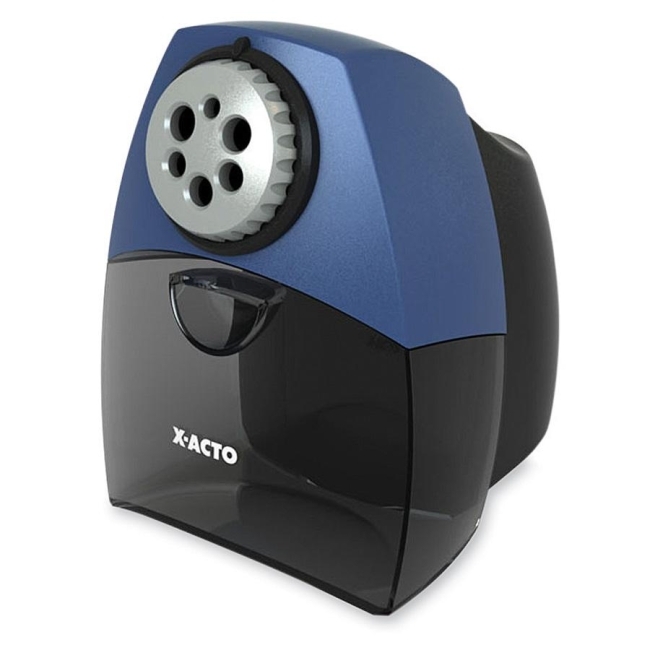 Design includes a very quiet motor, large clear shavings receptacle and an auto overheating shutoff.